You may have already seen or heard of the BBC's LIFE series featuring narration by David Attenborough. 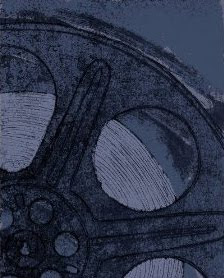 It is also possible you may have seen or heard of the same series featuring narration by Oprah Winfrey. Somehow, I missed both. Are you a nature documentary fan? If so, you will want to add this BBC series to your wish list, as I have done, because it sounds absolutely amazing. Available on blu-ray or DVD, it most certainly sounds like this is the kind of film you buy when you want to see one of the best nature documentaries around and you want to experience them in the best quality possible on your HDTV and blu-ray player. 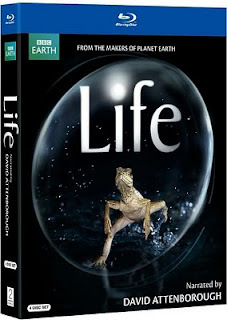 Life, was originally a 10-part series which aired on the BBC and on the Discovery Channel. It shares the lives of creatures from every continent and habitat on our earth and it shares in unexpected, unimaginable, extraordinary and extreme conditions. Does Life look like a film you would enjoy? Do you enjoy nature documentaries? Will you be adding it to your to-watch list? Click here to order your copy of Life from Amazon. AWESOME! Can't wait to get my copy. Love the nature documentaries. Thanks for sharing! Ditto, me. This may well be the best nature series, yet if you combine the content and the high definition content. What is the Best Car Movie?